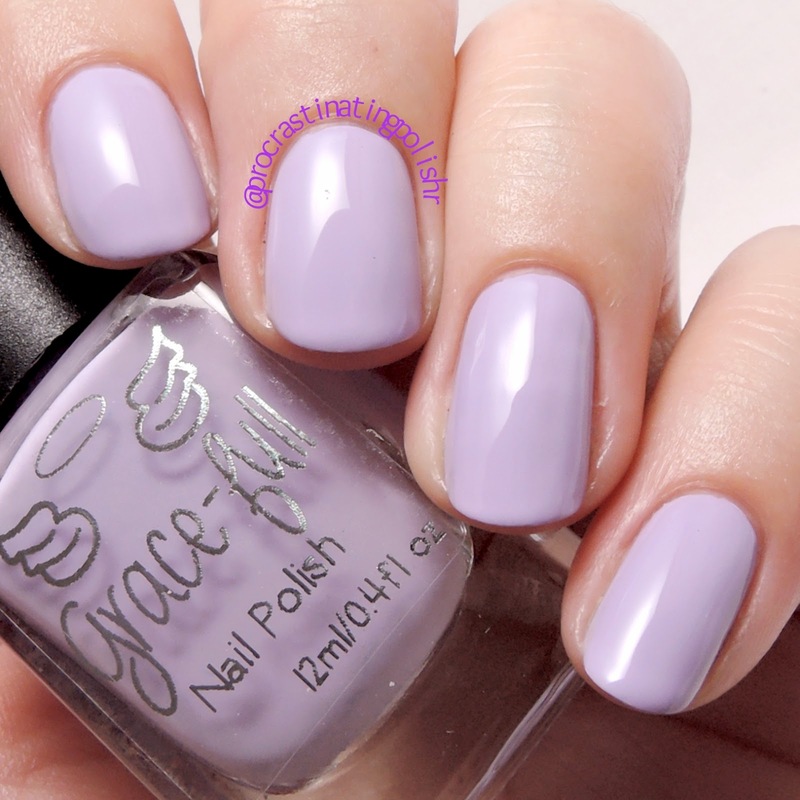 I come bearing pastels this weekend with the gorgeous new release from Grace-full Nail Polish - Dreamy Beach. These are another subset of the Girls Just Wanna Have Fun collection, this time inspired by sea tones and the beachy pastels in the collage below. I'll have four for you today and another four tomorrow, so let's get into it! You guys! A pink I love! Emma is a beautiful musk stick pink that seems like it was formulated just for me. 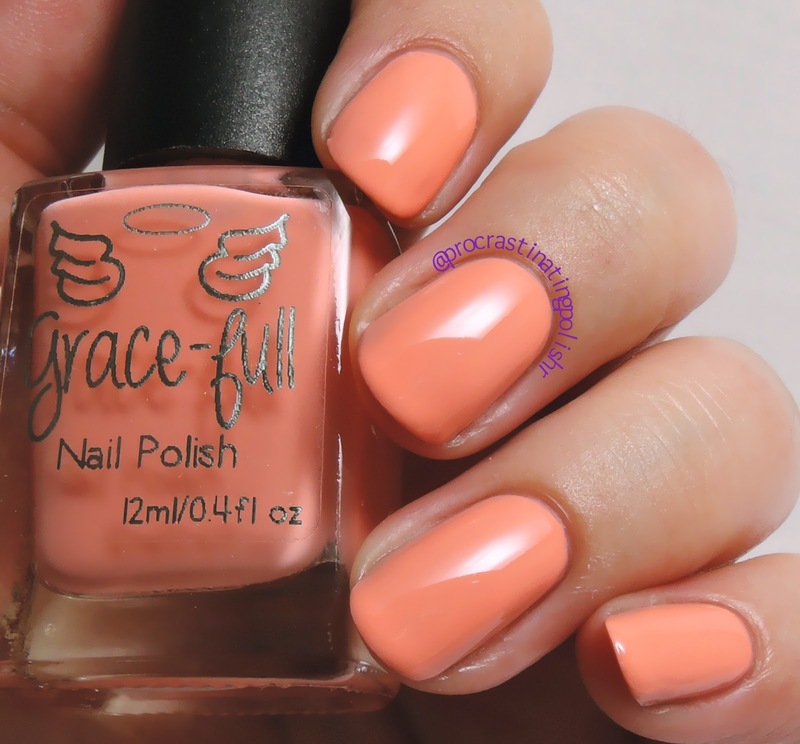 It is so incredibly flattering on my skin tone with the subdued pastel tone and vivid hue. 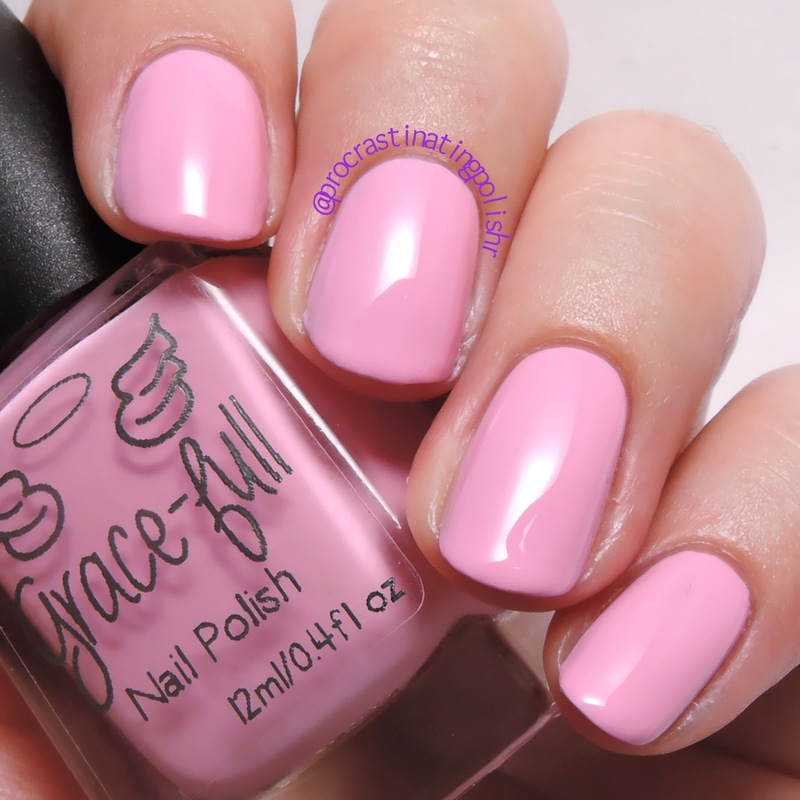 I've been searching for a perfect girly pink and this super creamy colour is it. The formula was a dream to work with, buttery smooth just as a good creme should be. My swatches show 3 thin coats and top coat. 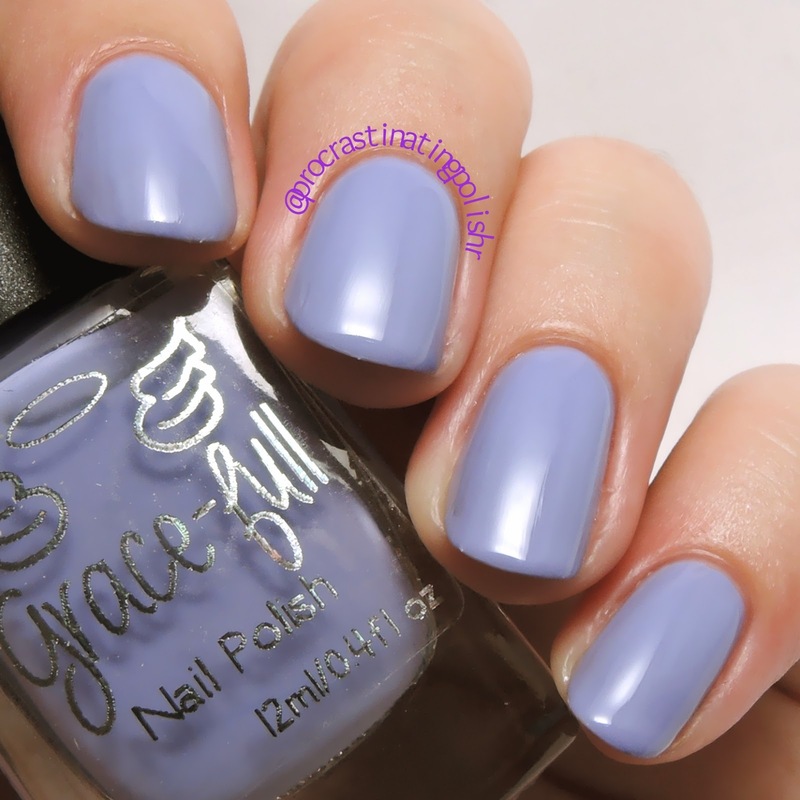 Periwinkle shades are always bound to be a favourite of mine because they are essentially pastel blurple. Jacinta leans a little more purple in my photos than it does in real life - I struggled to capture the colour accurately. Jacinta applied a bit more like a crelly, though it was nice and opaque. I ended up with 3 thin coats but you could probably get away with two. The finish is incredibly smooth and glossy. This pretty glowing peach has filled a gaping hole in my collection. The vivid pastel reminds me a little of what Maybelline tried with their bleached neons. 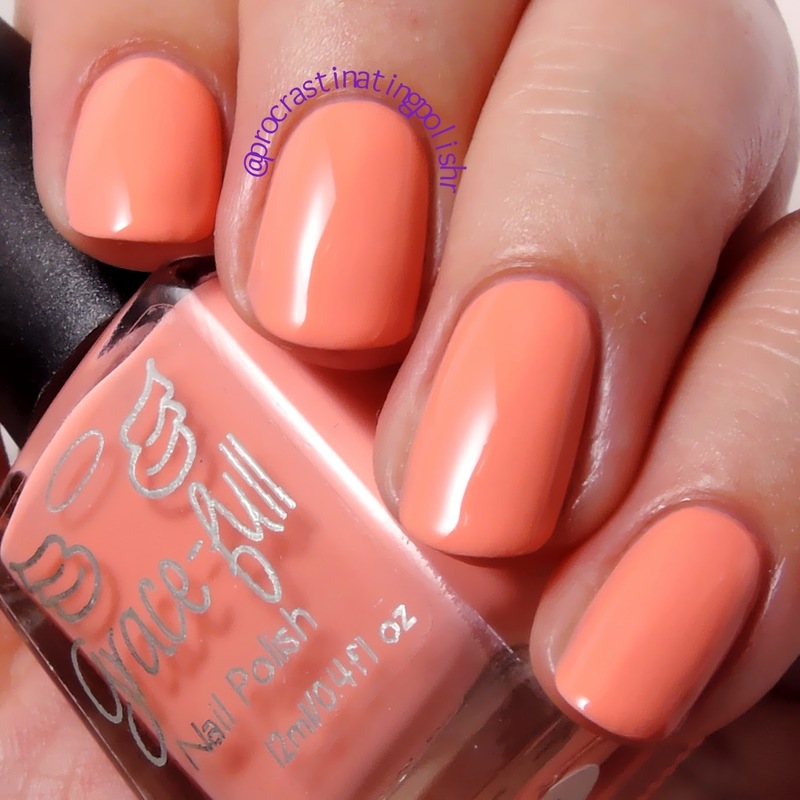 Liz is a great summer/autumn transition shade that I think will make a great base for nail art. Again, only good things to say about the formula here. Smooth and easy to apply, self levels wonderfully for a glossy finish. I used 3 thin coats for my swatches. Celebrations are in order - I have found a worthy successor for my favourite lavender polish, Essie's Nice is Nice. I'd even go so far as to say Maddison surpasses Nice is Nice. The colour is light without being washed out, perfect all year round. Maddison only needed two coats for perfect opacity and applies easily. I didn't get the same glassy smooth finish as the others, but once you top coat you'll forget that it's anything less than perfect. 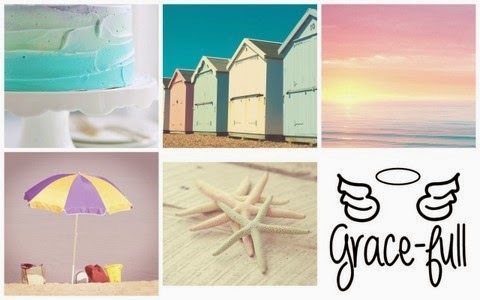 The Dreamy Beach collection is available now at Grace-full Nail Polish, prices start at $8 for these cremes. There are also some pretty crellies available for $9.50 each.